Men have often been ridiculed by women because we won’t stop and ask directions no matter how lost we may appear to be. We now have brain research and science to explain why men think they know directions and mapping better than women and therefore don’t feel the need to ask directions! And, it also gives support to the argument that women have the potential to be better leaders because they can tap into the social cues of others and utilize emotional intelligence skills more naturally than men. 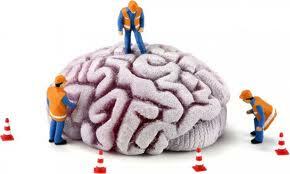 It’s the way the brains of men and women end up hard wiring to support the different functions. New, ground breaking information about our brains seems to be coming out on almost a daily basis. If you are a leader of people and haven’t started paying attention to this information to help you become a better leader, wait no longer. You can easily begin today as I’ll provide a link to the article on this exciting research that provides data supporting the previous statements about men and women’s brains. Neuroleadership. If you don’t know the term or if you’ve heard it, but haven’t begun to learn about it, now is the time. Don’t wait or you’ll be left behind in this wave of leadership development. Become an UnCommon Leader with information about your brain and the brains of those you’re leading…..your next promotion may depend on it!